Madrid, Dec 24, 2016 (SPS) - The Trade Union Confederation of Spanish Workers' Commissions (CCOO-Spanish) called for a rally on Tuesday in front of the Moroccan Embassy in Madrid to express solidarity with the Sahrawi political prisoners of Gdeim Izik Group. London, Dec 24, 2016 (SPS) - Two lawyers, José Revert Calabuig and Nieves Cubas Armas, representatives of the General Council of the Spanish Legal Profession who had planned to visit, as international observers, the trial on 21 December of Saharawi activist Ali Saadouni and his fellow activists in El Aaiún. They were expelled from the capital of Occupied Western Sahara at midday on 20 December, sent by plane back to Gran Canaria. As the year 2016 ends, it is rather very unfortunate that the global mechanism which is supposed to maintain international world order is still facing a lot of dysfunctionality. The very ones who are supposed to be protected by the international communities are hitherto the victims of a conspiracy of international negligence and silence. Madrid, Dec 24, 2016 (SPS) Several Spanish cities have decided to organise demonstrations to express their support and solidarity with the Saharawi political prisoners of Gdeim Izik whose trial is scheduled to start Monday. In Madrid, the Spanish Coordination of Solidarity Associations with Sahara (CEAS-Sahara) called for a rally in front of the Moroccan embassy to demand the release of the Saharawi political prisoners on 27 December. Buenos Aires, December 23, 2016 (SPS) -The Central Workers of Argentina (CTA) has expressed Thursday its support and solidarity with the Sahrawi political prisoners of the Gdeim Izik Group. 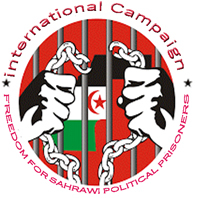 In a press release published Thursday, CTA expresses its full solidarity with the Saharawi people's just struggle and their support for Saharawi political prisoners. Bir Lahlou (Liberated Territories), December 16, 2016 (SPS) - Sahrawi President Brahim Ghali called on the Secretary General of the United Nations Ban Ki-moon to urgently intervene for the release of the Sahrawi political prisoners, notably those of Gdeim Izik group, while Morocco has just been condemned by a UN Committee for torturing the prisoners Ennaama Asfari.